TGF-β signaling via the Smad2/3 pathway has key roles in development and tissue homeostasis. Perturbations of the TGF-β signaling are involved in the pathogenesis of many human diseases, including cancer, fibrotic disorders, developmental defects, and neurodegeneration. To study the temporal and spatial patterns of Smad2/3-dependent signaling in living animals, we engineered transgenic mice with a Smad-responsive luciferase reporter (SBE-luc mice). Smad2/3-dependent signaling can be assessed non-invasively in living mice by bioluminescence imaging. 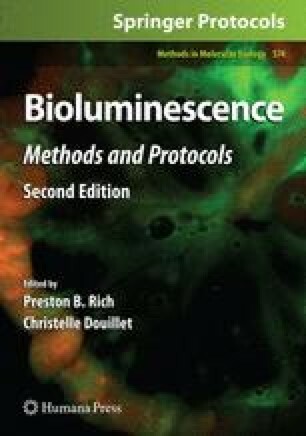 To identify the cellular source of the bioluminescence signal, we generated new reporter mice expressing a trifusion protein containing luciferase, red fluorescent protein (RFP), and thymidine kinase under the control of the same SBE promoter (SBE-lucRT mice). SBE-luc and SBE-lucRT mice can be used to study temporal, tissue-specific activation of Smad2/3-dependent signaling in living mice as well as for the identification of endogenous or synthetic modulators of this pathway. We thank B. Debsi, W. Wang, H. Yang, and E. Hashemi for animal husbandry and genotyping. This work was supported by grants from NIH (AG23708, AG20603) and the John Douglas French Alzheimer’s Foundation (T.W-C).